Using dynamic brush strokes, my style is free and adventurous. I adore colour and texture. My works aim to create the effect of movement, life and light. I’ve never lost the sense of delight an artist feels when someone really enjoys their work. It is magical when a collector falls in love with a painting and connects with what you’ve produced. That, and the actual act of creating the work, is what it’s all about for me. I mostly paint in my studio in Cheltenham, but also enjoy sketching and painting en plein air. I enjoy travelling and exploring new places to sketch and capture the moment. As well as creating my own work, I teach classes and workshops around the Gloucestershire area. Teaching is so rewarding. It’s wonderful to be able to pass on my passion for art. My work has sold widely in galleries and exhibitions, mainly to private collectors. 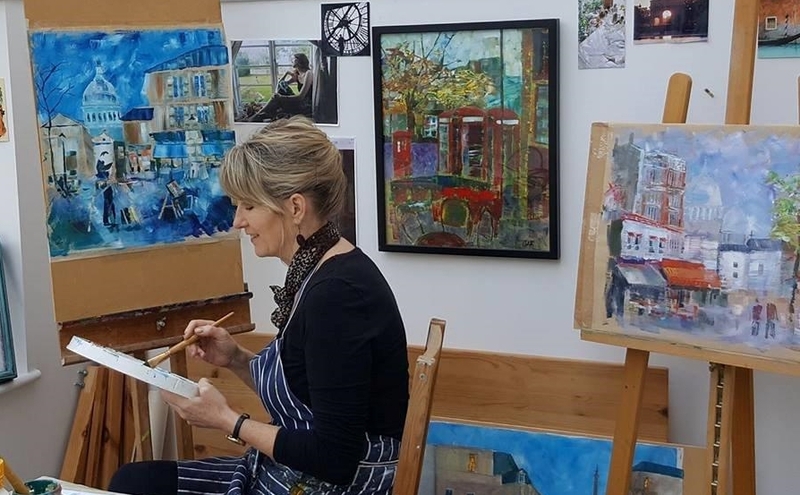 Please email me at: celia@artbyceliabennett.com or call me on 07766 240503 if you would like to discuss commissions, classes, workshops or any aspects of my work.